The 3-building Eldridge Place has been sold to Granite Properties. HOUSTON – (Realty News Report) – Granite Properties has acquired Eldridge Place, an 824,632-SF, three-building office complex in the heart of the Energy Corridor in West Houston for $78.4 million. Jeff Hollinden, Senior Managing Director and Martin Hogan, Senior Director of HFF represented the seller, TIER REIT of Dallas. Located at 737, 757 and 777 N. Eldridge Parkway, the complex has direct access to Interstate 10, Memorial Drive and North Eldridge Parkway and is in close proximity to West Houston, home to many of the Energy Corridor’s employee base. The three Eldridge Place buildings are undergoing a $20.6 million capital improvement program, which will continue through 2019, and include fully renovated lobbies and mechanical upgrades, and the raising of the electrical source to protect the properties from future weather events. Granite will continue to update the buildings’ amenities including the onsite conference center, fitness center and cafe. The complex offers in excess of 600,000 SF of space in the coming five years. Three Eldridge Place will be available for a full-building user in January 2020. It features a commercial kitchen, cafeteria, a large lunchroom, conference and training center, and a customer lounge. The seller, Dallas-based TIER REIT expects to receive additional insurance proceeds related to the damage, and destruction suffered because of Hurricane Harvey and its aftermath, including a claim for the loss in value attributable to the storm. the remaining claims are currently undetermined. “The disposition of Eldridge Place enables us to move forward by significantly reducing our Houston presence and reallocating the capital in more accretive ways, including our build-to-core development program at The Domain in Austin, Texas,” said Scott Fordham, CEO of TIER REIT. Granite Properties’ Scott Martin and Paul Bennett represented Granite in the acquisition. The Eldridge Place development includes the headquarters of McDermott International, which recently announced it had signed a 16-year headquarters lease for Energy Center Five, an 18-story, 524,000-square-foot office tower located at 915 North Eldridge Parkway. 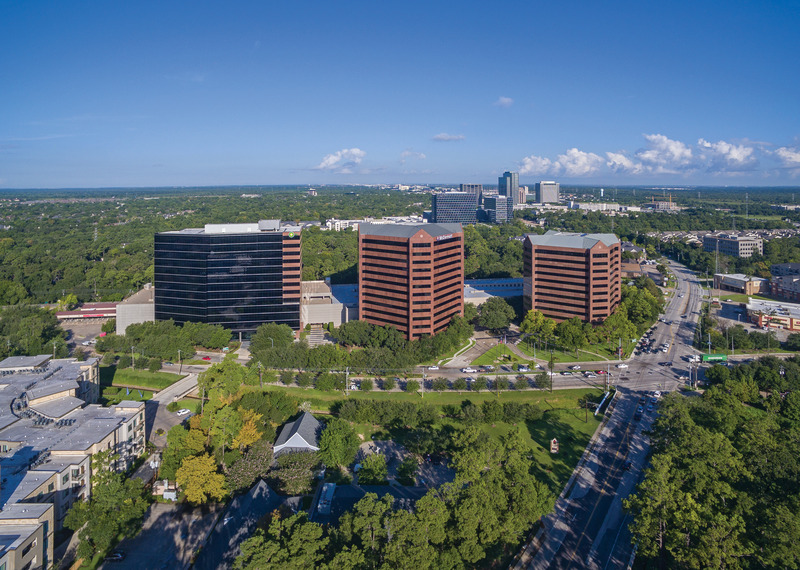 With the acquisition of Eldridge Place, Granite expands its Houston portfolio to more than 2.3 million SF of Class A office buildings. Granite also owns and manages 3355 W. Alabama, 2925 Briarpark, Weslayan Tower-24 Greenway Plaza, Granite Tower 290 and Briarpark Green in Houston.